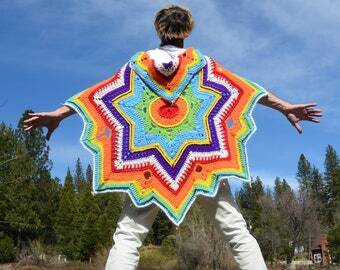 This is a crochet parasol in wild rainbow colors!! 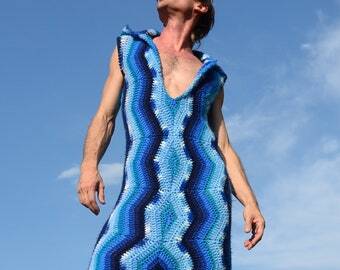 Shade yourself in high fashion--its vibrant and electric style is always a hit!!! 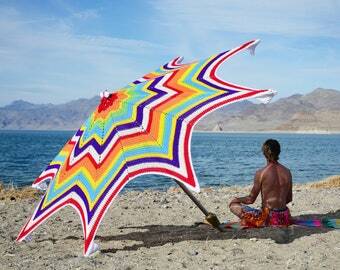 This is a 23 inch parasol with a wooden handle and bright rainbow colors crocheted in acrylic yarn. 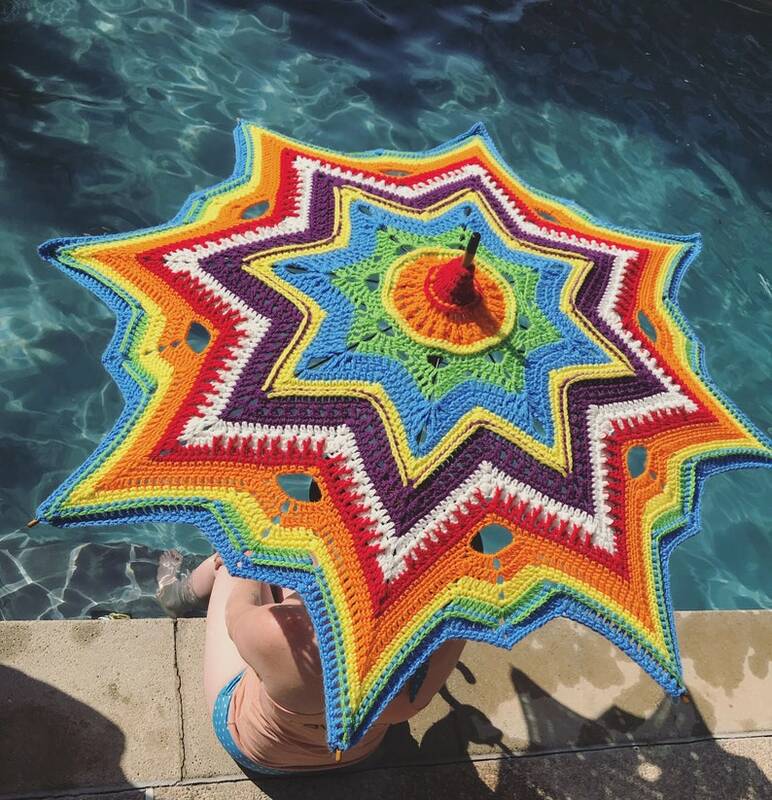 Light and airy, this parasol will keep you shaded in hot weather. 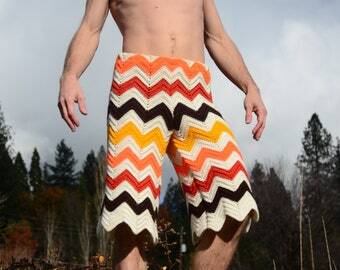 Not intended for windy or rainy weather!! 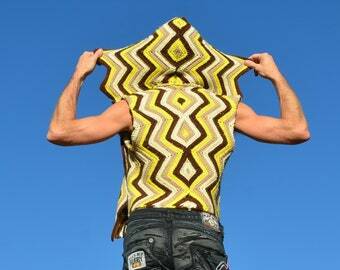 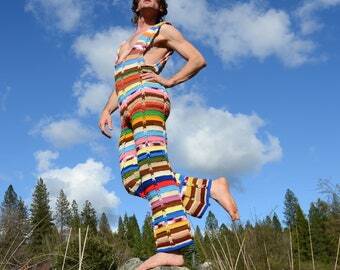 Lord von Schmitt transforms afghan blankets into new and exciting apparel and accessories!! 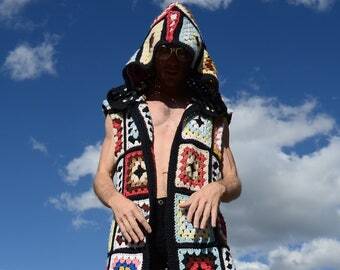 Afghan blankets are heritage textiles made with love. 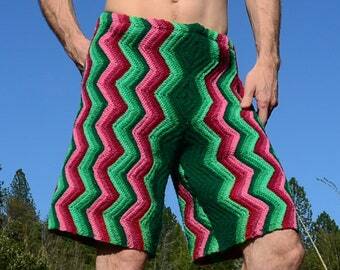 Crochet patterns live in our subconscious minds and are frequently associated with memories and nostalgia. 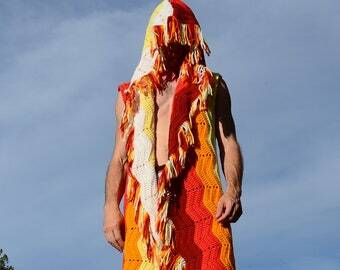 Designed, assembled, photographed and modeled by Schuyler Ellers, hand-crocheted by Doopoo Sports Ltd.